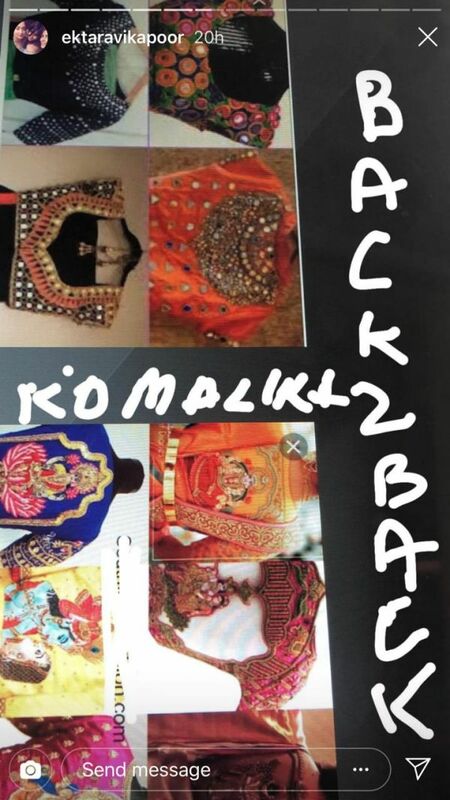 Ekta Kapoor Reveals Komalika's Blouse Designs & All We're Waiting For Now Is Her Face! Kasautii Zindagii Kay 2 is just two weeks away and the hype is getting more and more real. The role of Prerna and Anurag will be played by Erica Fernandes and Parth Samthaan and as per the reports, Hina Khan will be our new Komolika. The actress was last seen in Bigg Boss 11 and might also be appearing for the premiere of Bigg Boss this Sunday. 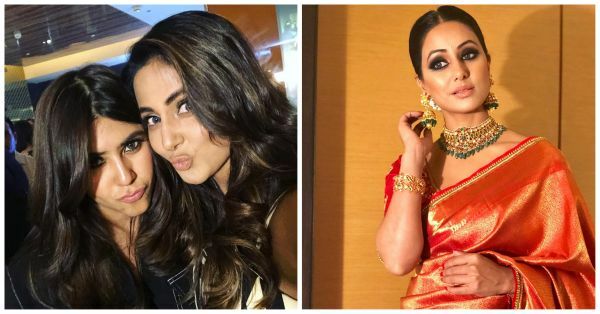 Although there has been quite a debate on the internet on who will make a better Komolika, Hina Khan or Krystle D' Souza, Hina Khan has been finalised for the role. Ekta Kapoor promoted the KZK2 in the most dramatic way EVER by unveiling the statue of love in 10 different cities a few days ago. But now she is teasing the audience by showing them blouse designs that Komolika will be wearing in the show. 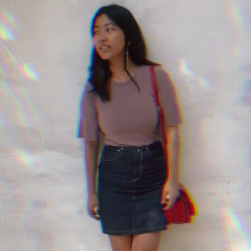 There's already so much suspense around the show and now Ekta adds a little more to it by posting pictures of Komolika's blouse design on her Instagram. Check it out. We're waiting to see choli ke peeche konsi actress hai, Ekta!